We are a custom Deck, Porch and Patio building company. Our knowledge, expertise and dedication to customer service is what sets us apart from our competition. Contact us today to get started on creating your dream outdoor living space. 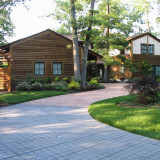 Full service landscape design build firm with a dedicated trained staff, industry certified technicians, dependable timelines and customer satisfaction, accurate pricing with honest expectations, detailed plans and pricing structures, fully insured and licensed, phased plan options, financing options and a true value driven company. We pride ourselves on providing value, quality workmanship, responsive post care options and warranties on product and workmanship in writing with each proposal provided. Get Decked has constructed decks in New Castle County and Northern Kent County DE, and Chester County PA. With 34+ years experience and 10's of 1000's of decks constructed under our tool belt, we feel very confident that we are the areas best deck builder! We don't redeck or work off anything existing, only replacement or new decks from scratch! All work is done by the owner who is a master craftsman! Our Decks are totally custom for each house and very unique! Once you request a free estimate, you will be given several design options and sizes, as well as material recommendations and receive your price right then and there! Not only can you ask any of our previous customers from our 11 page reference sheet about our integrity, you can also ask your local township building inspector or New Castle County rep about Get Decked! We believe in the old school of thought that our valued customer satisfaction is our top priority! Once you decide to contract with Get Decked, we are very honest in our payment schedule. You pay in four stages. You pay us as you see work being done! Zero $$$ down when you sign a contract, 25% when lumber is delivered, holes are dug and old deck is torn down, 25% when deck frame is complete, 25% when decking is installed and rail posts are set and balance due upon completion! For your added convenience...we also accept all major credit cards and amazing low monthly payments make your Dream Deck even more affordable with our financing through Ener Bank. We build decks all year round! That is all we do! 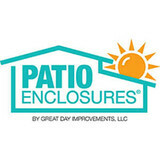 JUST DECKS AND SCREEN PORCHES for more than 34 years! NO SUBS, NO SALESPEOPLE, Who gives you your estimate is the person who will actually be building your deck! There are hundreds of deck builders, but only one with the knowledge, expertise and "DECK"ades of Experience backed by an unmatched, amazing 30 year product warranty and Get Decked's workmanship warranty! Thank you for taking a glimpse into the world of Creative Pavers. As you sit here and think about enhancing the exterior of your property we want you to not just to look at the pictures, but instead, envision the many creations and imagine them at your own home. Think about driving home one day and pulling your car, truck, or van onto a new paver driveway in just the right shade that accents the color of your home. Envision walking around the side of your house while following the curvy path of that beautiful flagstone walkway framed by hardy shrubs and colorful perennials. Imagine walking out your back door and stepping onto a gorgeous raised patio complete with seating walls, columns, and winding steps that lead you to your wonderful pool surrounded in the desired stone pattern that you dream of. This is all possible; it’s just up for you to choose. Our job here at Creative Pavers is to provide you with the ideas, know-how, and excellent service that enable you to let your mind dream and make your own personal wish come true. You would have trouble finding anyone as easy to work with as us and while talking to any of our representatives you can easily see that. We like to be challenged and enjoy what we do which shows in our work. Ask any of our numerous references. We promise to treat every job as if was our own home that we were working on. So we wish you luck in your venture to create your own personal landscape and we promise to help you every step of the way. What services do deck and patio builders in Doylestown, PA provide? To help you choose the ideal style, configuration and materials for your deck or patio, your deck and patio contractor will survey your Doylestown, PA lot and your home to come up with a design that complements your exterior as well as being structurally sound. He or she will recommend sizes, heights and construction materials that suit your lifestyle and climate, as well as explain the best stain or finish options. Additionally, deck and patio professionals can provide insight into additional components such as outdoor kitchens, patio covers, fire pits, outdoor lighting, arbors and more. Your deck and patio professional might work closely with another Doylestown, PA lawn and landscape professional. Here are some related professionals and vendors to complement the work of decks, patios & outdoor enclosures: Landscape Architects & Landscape Designers, Garden & Landscape Supplies, Stone, Pavers & Concrete, Landscape Contractors, Building Supplies. Find a deck and patio builder in Doylestown, PA on Houzz.